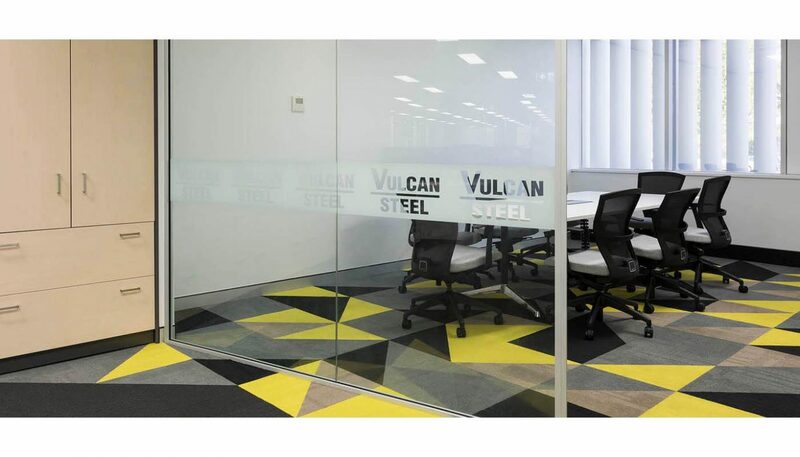 Vulcan Steel specialise in the processing and distribution of Stainless Steel products. 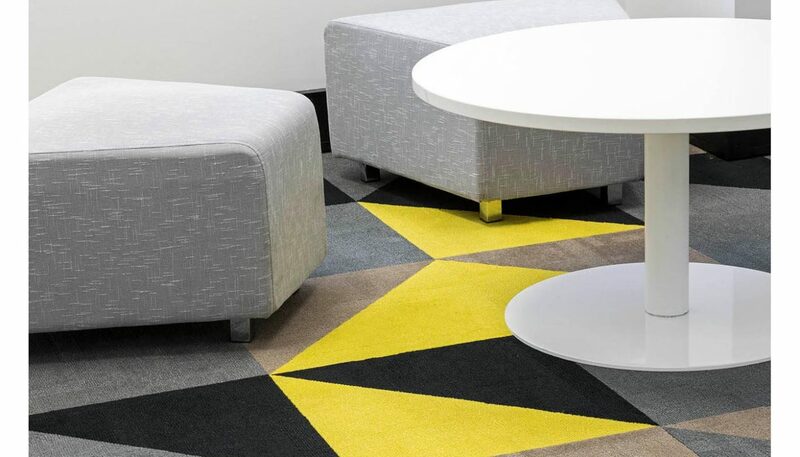 A complete refurbishment of the office was undertaken to create a more lively and productive work place for staff.A chic industrial look is created through the use of colours, textures and patterns. 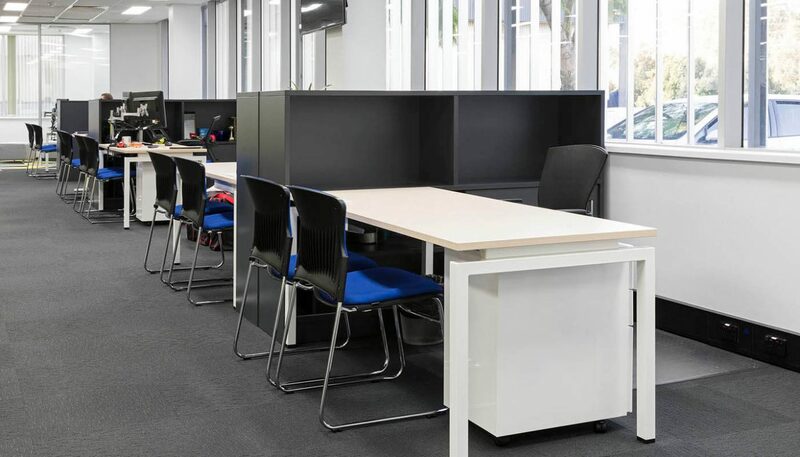 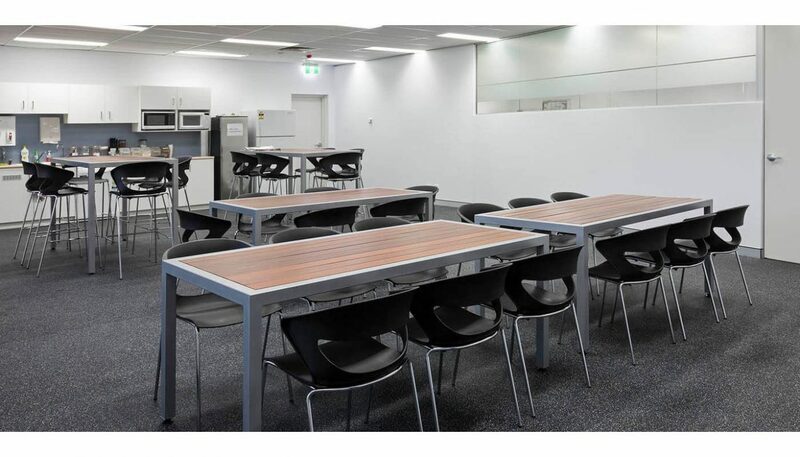 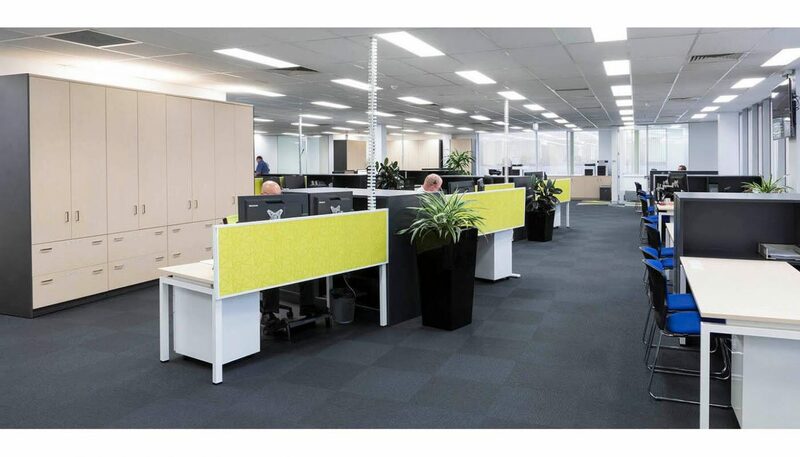 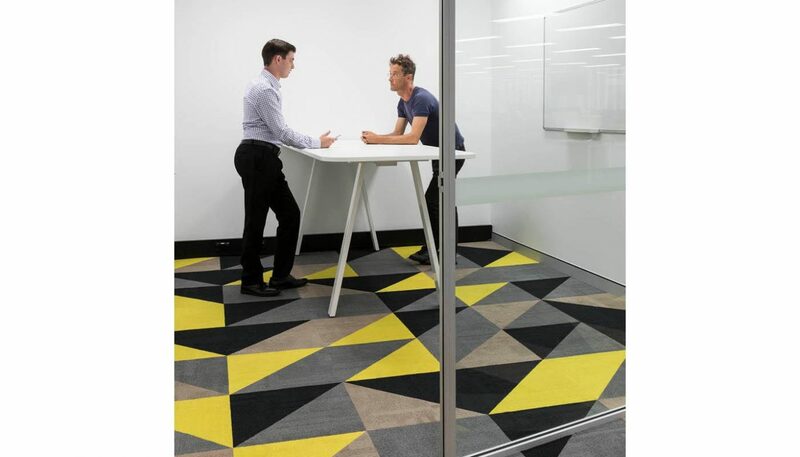 The base charcoal and timber workstations are brightened with yellow dividing screens, whilst the meeting rooms (stand-up and formal) become a focal point with the use of patterned carpet tiles. 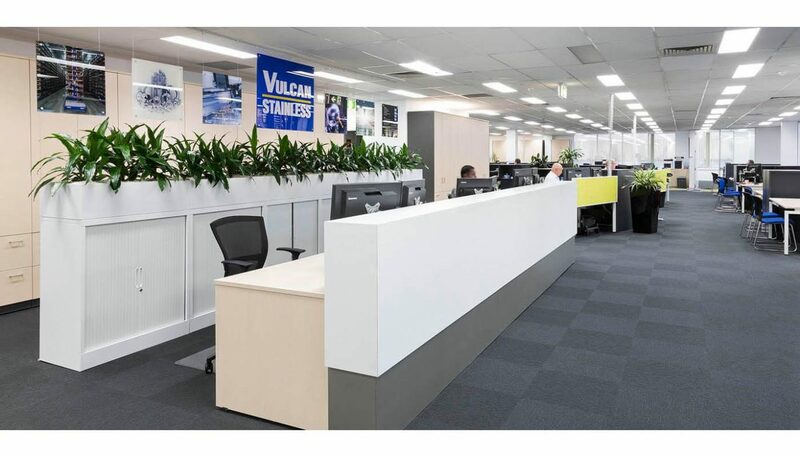 The business is showcased at reception through the use of industry based imagery presented on a steel cable display system.